Matthew Walsh concentrates his practice in complex litigation with particular emphasis in the areas of construction, commercial, employment, municipal, medical malpractice and religious institutions liability. He is an accomplished and experienced trial lawyer, having tried more than 25 jury trials to verdict. Mr. Walsh's practice includes the representation of construction companies and national retailers in complex property damage, personal injury and employment litigation. Mr. Walsh has also represented state and local officials in tort and civil rights litigation in his capacity as a special Cook County State’s Attorney. Mr. Walsh represents numerous Illinois hospitals, doctors and religious organizations in complex litigation, and leads a team of attorneys who conduct internal investigations at hospitals, municipalities, religious organizations and companies to identify potential criminal and civil exposure. In addition, Mr. Walsh has handled numerous high-profile and high-exposure alleged sexual abuse matters on behalf of school districts, religious orders, medical and mental health facilities. Mr. Walsh also is general counsel for several multimillion-dollar companies, where he manages, coordinates and directs all legal activities, including the drafting of contracts and the handling of commercial litigation, trademark and copyright issues and employment disputes. Mr. Walsh joined Hinshaw & Culbertson LLP as an associate in December 1999 and was quickly promoted to noncapital partner in July 2002. In July 2006, he was promoted to capital partner, making him one of the youngest capital partners in the firm. 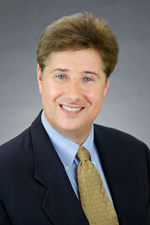 Mr. Walsh is a member of the firm's Executive Committee. He is also co-leader of Hinshaw's Business Litigation Department, which includes approximately 100 lawyers. Before joining Hinshaw, Mr. Walsh served as a prosecutor for more than seven years in the Cook County State's Attorney's office. While there, he tried hundreds of felony and misdemeanor cases, including more than 20 murder trials. Additionally, Mr. Walsh was a Supervisor in the Felony Review Unit of the Cook County State's Attorney's Office, where he was responsible for a team of Assistant State's Attorneys who investigated, analyzed and approved felony cases throughout the city of Chicago. Mr. Walsh represented a large Illinois health system in a lawsuit, which received significant media attention, stemming from an alleged breach of private health information from a hospital system. In closing, plaintiff asked for $10 million in compensatory and $50 million in punitive damages. After a 4 week jury trial and 6 hours of deliberations, jury returned a complete verdict for our client and awarded zero damages. Mr. Walsh represented a banking executive who was accused of attempting to board an airplane while knowingly in possession of a loaded handgun — a felony. Following trial, his client was found not guilty. Mr. Walsh obtained a favorable verdict for St. Mary's of Nazareth Hospital following a two-week complex medical malpractice jury trial in which plaintiffs sought $3.5 million in damages for the death of a psychiatric patient. Mr. Walsh was one of the trial attorneys successfully representing the Cook County Sheriff's Office in the case of Fields v. Byrne, a high-profile civil rights case filed by four inmates housed in the Cook County Department of Corrections alleging excessive force by numerous correctional officers. After a three-week trial, the jury returned a verdict in favor of the Cook County Sheriff's Office. Mr. Walsh was one of the trial attorneys successfully representing Northwest Community Hospital in the case of O'Donnell v. Northwest Community Hospital, a premises liability case in which plaintiffs sought more than $2 million in damages. After a two-week trial, the jury returned a verdict in favor of the hospital. Mr. Walsh was one of the trial attorneys successfully representing an Assistant Cook County Public Defender in Johnson v. Halloran, a case of first impression in Illinois involving a legal malpractice claim against an Assistant Public Defender for his representation of an individual who was convicted of sexual assault and sentenced to 36 years in prison. Four years later, he was pardoned by then Illinois Governor James Edgar based upon exculpatory DNA evidence. Plaintiff alleged that the assistant public defender failed to investigate and present biological evidence at trial, and asked for $4 million in damages. After a two-week trial, the jury returned a verdict in favor of his clients. Mr. Walsh has lectured on trial technique and strategy at Chicago-Kent College of Law, DePaul University College of Law, The John Marshall Law School, the American Bar Association and Hinshaw University's Trial Advocacy Program.